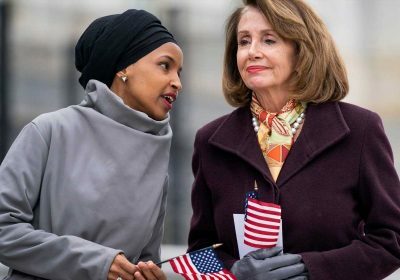 Last week, conservatives sharply criticized Omar, one of the first Muslim women ever elected to Congress, for remarks the Minnesota Democrat made at a March 23 Council on American-Islamic Relations event in Los Angeles where she said “some people did something” in reference to the Sept. 11, 2001, attacks that killed nearly 3,000 people. The tweet had previously been pinned as the first one on the president’s Twitter account. Although no longer the pinned tweet, it was still in his feed and the video had 9.8 million views as of 7 p.m. EDT on Sunday. “He stole $150,000 from some small businessperson who could have used it to help rehabilitate himself,” Nadler said. “This is a dangerous incitement, given the death threats I face,” Omar tweeted in response to her conservative critics after March 23 comments resurfaced last week on social media.